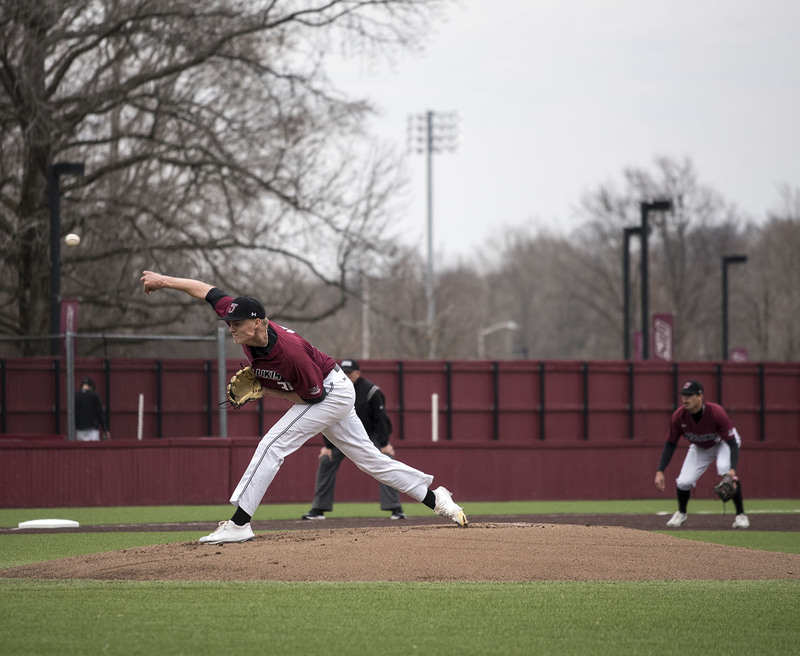 With another quality start, SIU closed out the Northern Illinois Huskies (4-8) on Friday afternoon, 4-0, for its first home win of the season. 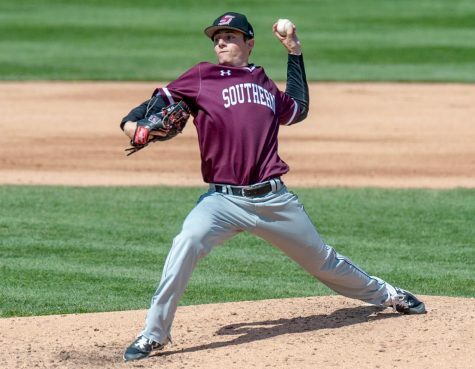 After three scoreless innings, Southern kept its trend of scoring first alive with a single by junior left fielder Alex Lyon who proceeded to steal second in the bottom of the fourth. 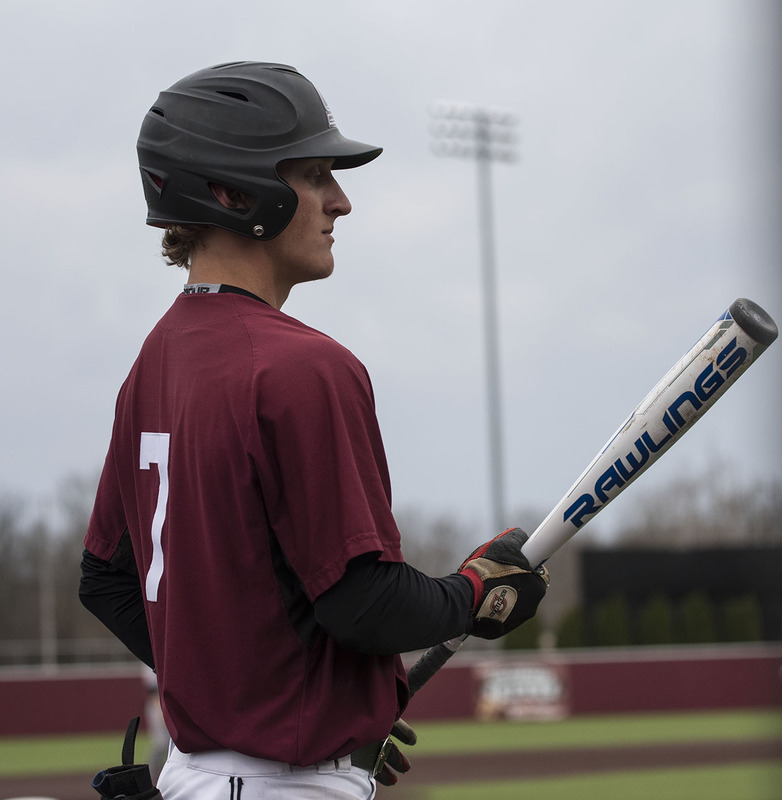 Senior designated hitter Hunter Anderson followed with a walk, while teammate junior right fielder Kenton Crawford loaded the bases with a single. 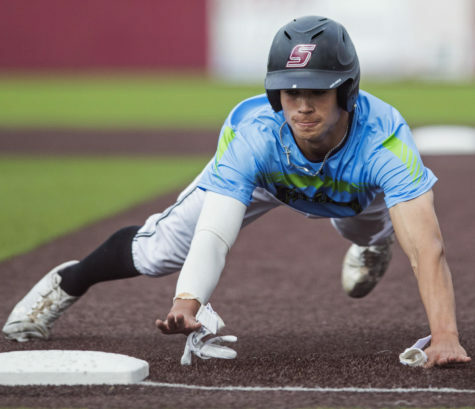 Then, sophomore catcher Austin Ulick drove in the first run of the game with a sacrifice fly that put Southern up 1-0. 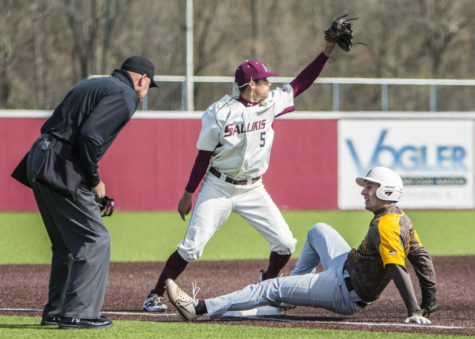 The Salukis kept the balling rolling in the fifth with a single down the third base line from junior second baseman Nikola Vasic who continued to steal second. Sophomore center fielder Addison Fugitt drove in the second run of the day with a single up the gut. 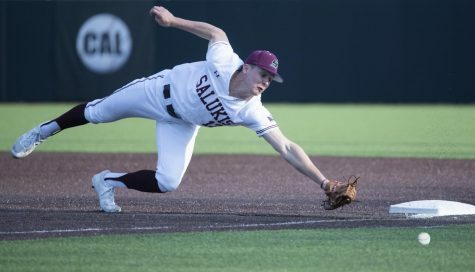 Fugitt continued the team’s tradition and stole second base. 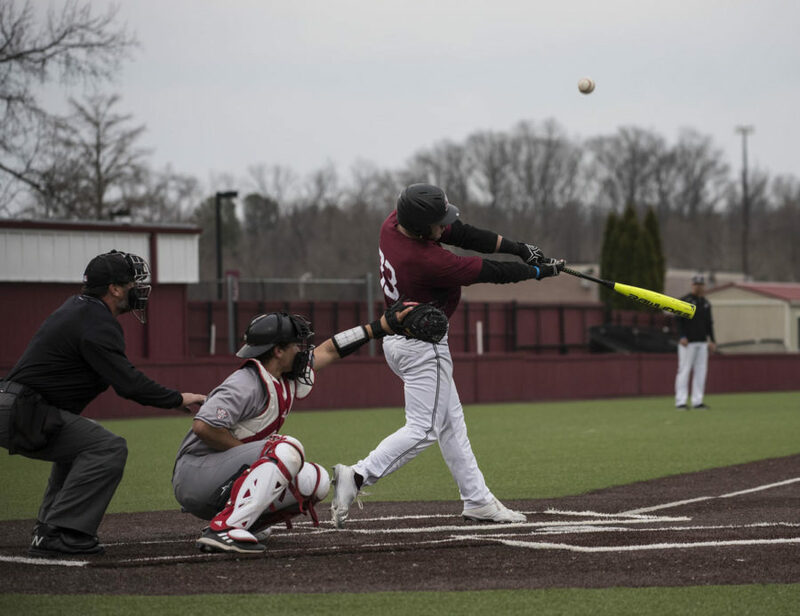 With back-to-back singles from senior first baseman Logan Blackfan and Lyon, SIU added two more runs and went up 4-0. 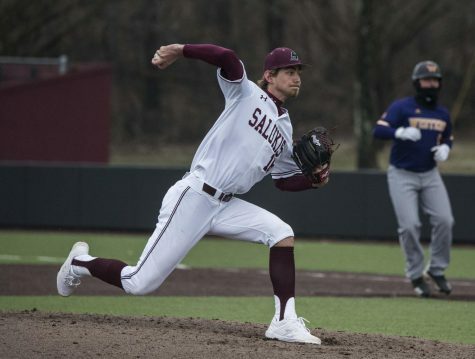 With a quality start from senior pitcher Michael Baird and a solid close from senior pitcher Ryan Netemeyer, the Salukis put up their second closeout of the week. 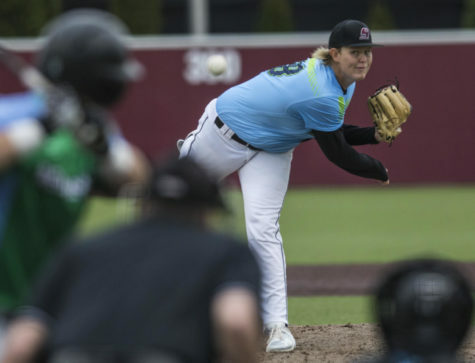 Michael Baird (1-1) earned his first win of the season with only five hits and seven strikeouts through eight innings. 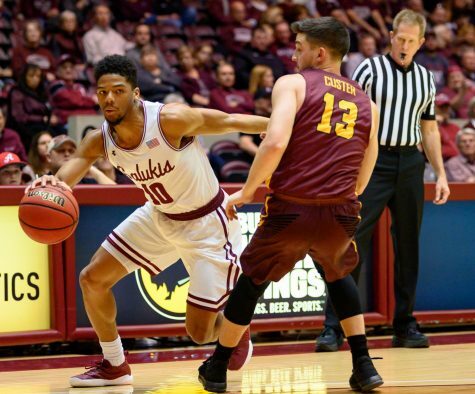 After a rocky start, Southern changed up its lineup, putting Vasic in the leadoff spot followed by Fugitt, while putting Kopach in the three-spot. Lyon dropped to fifth and Blackfan held down the clean-up spot. 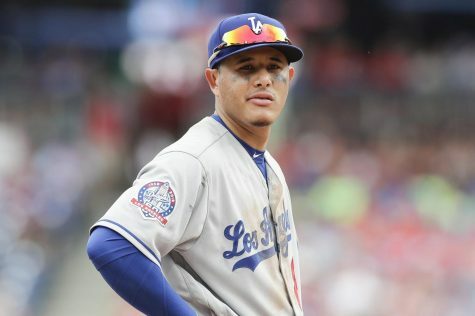 Since changing the top of the lineup, the team has won three straight. 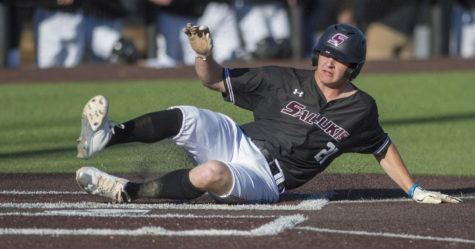 SIU (6-8) will finish the three-game series against Northern Illinois tomorrow with a double-header. First pitch is scheduled for 12 p.m. and the second will follow 30 minutes after the conclusion of the first.